From the table of contents: Linear second order ODEs; Homogeneous linear ODEs; Non-homogeneous linear ODEs; Laplace transforms; Linear algebraic equations; Matrix Equations; Linear algebraic eigenvalue problems; Systems of differential equations. This work has been prepared to meet a want in a course on the subject, arranged for advanced students in Physics. It could be used in connection with lectures on the theory of Differential Equations and the derivation of the methods of solution. The book consists of lecture notes intended for engineering and science students who are reading a first course in ordinary differential equations and who have already read a course on linear algebra, general vector spaces and integral calculus. The book covers: The Laplace Transform, Systems of Homogeneous Linear Differential Equations, First and Higher Orders Differential Equations, Extended Methods of First and Higher Orders Differential Equations, Applications of Differential Equations. This is a revision of a text that was on the market for a while. It focuses on systems of differential equations. Some popular topics, which were present in the original text, have been left out to concentrate on the initial value problem. This text has been written in clear and accurate language that students can read and comprehend. The author has minimized the number of explicitly state theorems and definitions, in favor of dealing with concepts in a more conversational manner. This text provides an introduction to all the relevant material normally encountered at university level: series solution, special functions, Sturm-Liouville theory and the definition, properties and use of various integral transforms. Part I introduces the standard techniques of elementary integration and, in some cases, takes the ideas a little further. In Part II, ordinary differential equation are explored, and the solution methods for some standard types are explained. The proof of the Grobman-Hartman linearization theorem for a flow at a hyperbolic rest point proceeds by establishing the analogous result for hyperbolic fixed points of local diffeomorphisms. 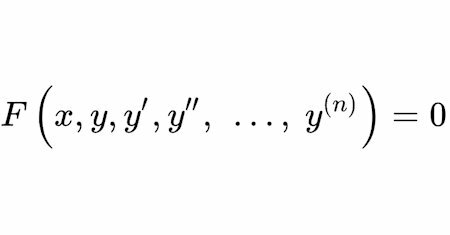 We present a proof that avoids the discrete case. We study the existence and uniqueness of periodic solutions for evolution equations. We analyze the one-dimensional case, then for arbitrary dimensions. We consider linear symmetric operators. We prove the same results for non-linear operators. Calculus of Matrix-Valued Functions of a Real Variable; nth Order Linear Differential Equations; General Solution of nth Order Linear Homogeneous Equations; Fundamental Sets and Linear Independence; Higher Order Homogeneous Linear Equations; etc. Contents: Basic Terminology; Qualitative Analysis: Direction Field of y'=f(t,y); Existence and Uniqueness of Solutions to First Order Linear IVP; Solving First Order Linear Homogeneous DE; Solving First Order Linear Non Homogeneous DE; etc. The author's goal was to give the audience an introduction to the algebraic, analytic and algorithmic aspects of the Galois theory of linear differential equations by focusing on some of the main ideas and philosophies and on examples. With the formal exercise in solving the usual types of ordinary differential equations it is the object of this text to combine a thorough drill in the solution of problems in which the student sets up and integrates his own differential equation. Some examples of simple differential equations. The book covers separation of variables, linear differential equation of first order, the existence and uniqueness theorem, the Bernoulli differential equation, and the setup of model equations.